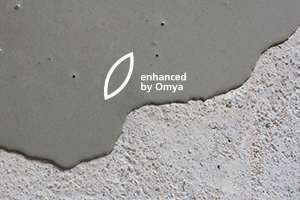 From pure raw material, Omya offers tailor made mineral solutions that address the innovative and sustainable needs of the construction industry. 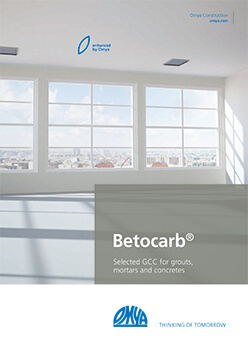 Today, Omya Ground Calcium Carbonate (GCC) in the form of various Betocarb® and Betoflow® grades is bringing multiple benefits to flooring, technical mortars and concrete. 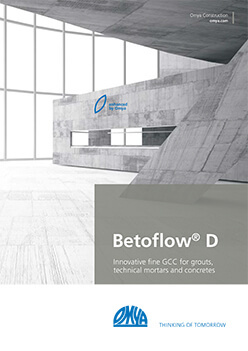 ​From dry mortar to structural concrete, GCC and fine GCC is incorporated into a variety of underlayment and self-leveling formulations. They provide higher stability, reduced bleeding and better color and aesthetic. ​ ​The consistent purity and fineness of Omya GCC, in particular fine GCC and ultrafine GCC, make them compatible with all benders (organic and mineral), SCMs and additives. They improve the fine packaging, flowability, cement hydration rate and mixing time process. 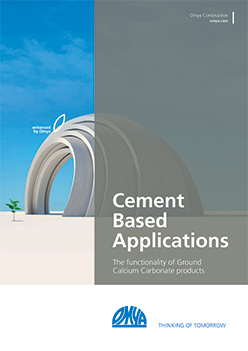 Complementary our Calcium Carbonate range is our wide and diverse specialty chemicals and minerals, such as light weight filler.